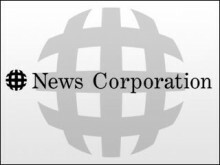 Its Fox broadcast network may have a higher profile, but News Corp’s cable networks proved to be the driver of profits during its last quarter. The company reported that operating income at its cable outlets rose 17 percent to $993 million on revenue of $2.8 billion, largely as a result of solid ad sales for its FX, Fox News and especially the Fox regional sports networks. “Sports has been a driving force for our entire channels business,” said News Corp President and Chief Operating Officer Chase Carey. On the other hand, revenue from advertising fell at the Fox broadcast network, largely due to the collapse of ratings for American Idol. Offsetting that drop, however, was an increase in revenue from retransmission consent deals. News Corp’s 20th Century Fox and its associated film enterprises rose 6.3 percent in the quarter, posting $289 million in operating income on revenue of $2 billion.